JOHOR BAHRU, 24 Sept. – A strategic international alliance of which Universiti Teknologi Malaysia (UTM) is the Chair, the Asia Technological University Network (ATU-Net) convened recently in its 4th Board Meeting to enhance its current programmes and to set in motion several initiatives for 2019. Student mobility, one of its key programmes that includes semester exchange, internship, and research attachments, was further refined to facilitate mobility within the network. For 2019, other activities for students will include summer camps and workshops, competitions, and carnival. For staff, in addition to its current initiatives, an international conference focusing on innovation and entrepreneurship in engineering, computing and science education is set to be implemented in September 2019. 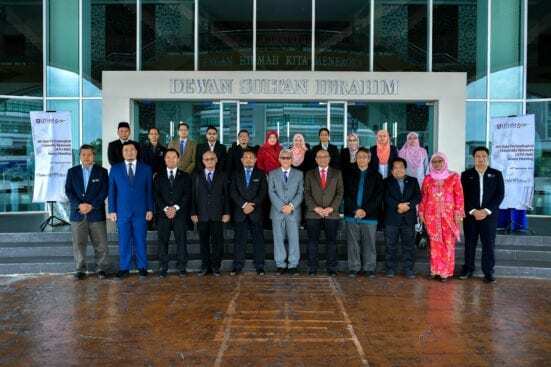 The Board Meeting was hosted by the network’s Deputy Chair, Universiti Tun Hussein Onn Malaysia (UTHM), Johor and was chaired by UTHM Vice Chancellor, Professor Ts. Dr. Wahid bin Razzaly. The meeting was attended by member institution representatives from international and local universities including Universiti Teknologi Brunei, Institut Teknologi Bandung, Mindanao State University – Iligan Institute of Technology, Indian Institute of Technology Madras, Universiti Teknologi Malaysia, Universiti Malaysia Perlis, Universiti Malaysia Pahang, Universiti Teknikal Melaka, and Universiti Malaysia Terengganu. The alliance is a consortium consisting of technology-focused institutions of higher learning from ten countries in Asia. In his opening speech, Professor Ts. Dr. Wahid reiterated the merits of collaborating together and urged members to capitalise on the strengths of all member institutions and to support each other for collective growth. 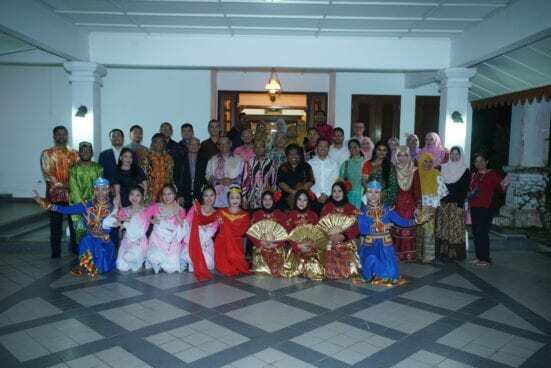 A reception dinner was held at UTM Vice Chancellor Official Residence to appreciate the delegates from member institutions. It was organised by staff of UTM International and UTM Office of Corporate Affairs, and supported by the International Student Societies (China, Indonesia, Bangladesh, Philippines, and India). A recent programme for students that was done in collaboration with the 16th Asia Pacific Student Services Association International Conference 2018 (APSSA2018) that took place in UTM Kuala Lumpur from 6-10 August 2018 was highlighted. All delegates were also invited to another programme co-organised by ATU-Net with UTM Academic Leadership (UTMLead), the New Academia Learning Innovation (NALI) Exhibition and Competition 2018. In NALI2018, participation from member institutions include Universiti Teknologi Malaysia, Universiti Malaysia Pahang, and Mindanao State University – Iligan Institute of Technology.